Have you ever wonder how to implement a vibration of the mobile phone? Why sometimes felt stronger, sometimes felt weak? The newest vibration module of gravity series, take you in-depth understanding of the vibration module principles, to satisfy your curiosity. Module uses a high quality of small vibration motor, only coin size, the edge did fillet processing, smaller. 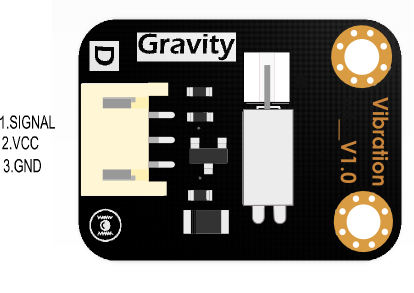 Gravity 3 - Pin interface, plug and play, more convenient. Let the children at the time of discovery, more focus on knowledge itself, get rid of complicated wiring. Introduce the operating priciples of the vibration module. Introduce control mode of the micro vibration module by simple examples and pictures. (high level work, low level stop). 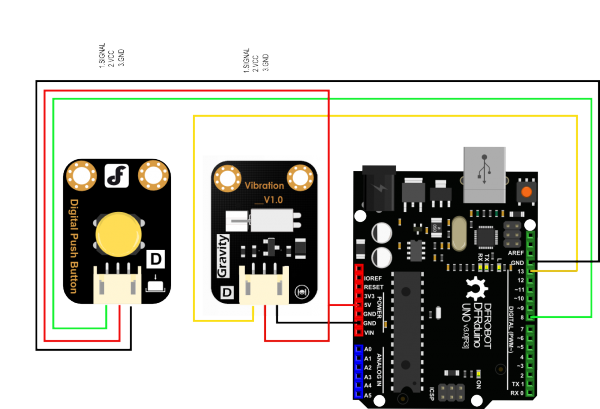 Control the module vibration intensity by the PWM signal. The vibration module uses the vibration motor as exciting vibration source, a set of adjustable eccentric block is installed in the end of rotor shaft, then we can ger the centrifugal force generated by high speed rotation of the shaft and eccentric block. More questions or interesting projects, you can Visit the forum To check or post! 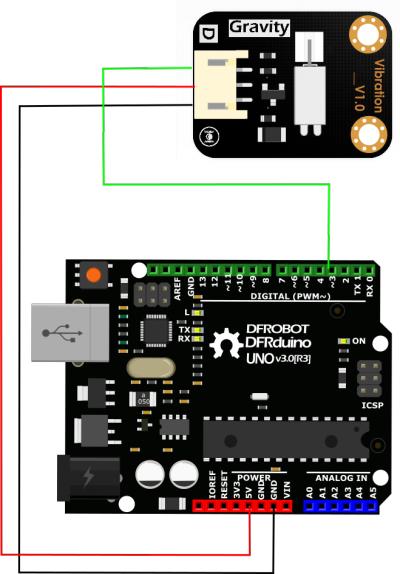 Shopping from [link DFRobot Store] or DFRobot Distributor.